These days, almost everyone from young to old has a digital camera. For the tech savvy taking the pictures and getting them onto the computer or the internet is a piece of cake, but for others it is a little more complicated. 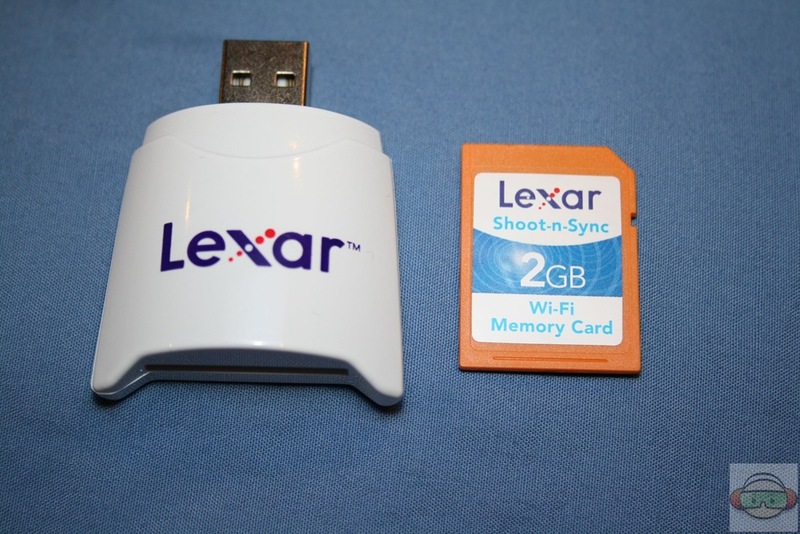 For the latter group, Lexar has come out with a dream product – the Shoot-n-Sync Wi-Fi Memory Card. 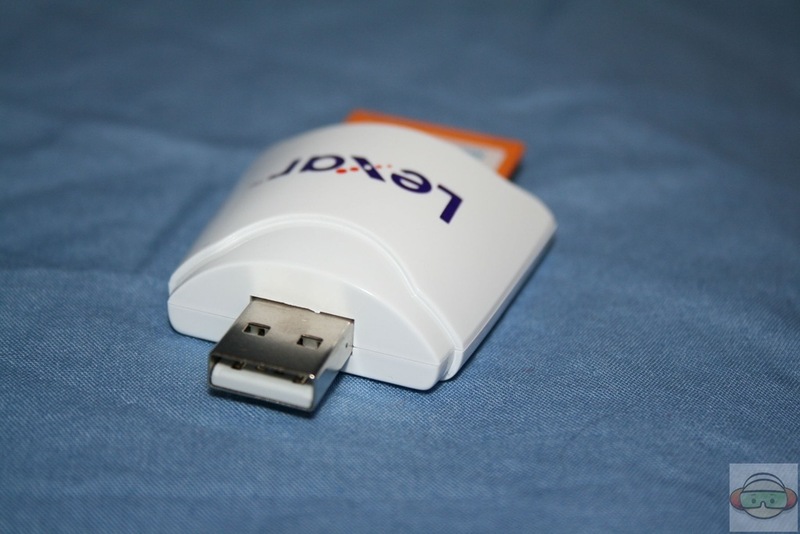 This 2 GB Wi-Fi enable SD card allows the user to upload pictures from their camera directly to their PC/Mac and/or to multiple online services via a Wi-Fi connection. Of course many non-tech folks may not have a Wi-Fi setup, but that is another story. The installation process is straight forward and pretty much plug and play. So let’s take a better look at this revolutionary card! 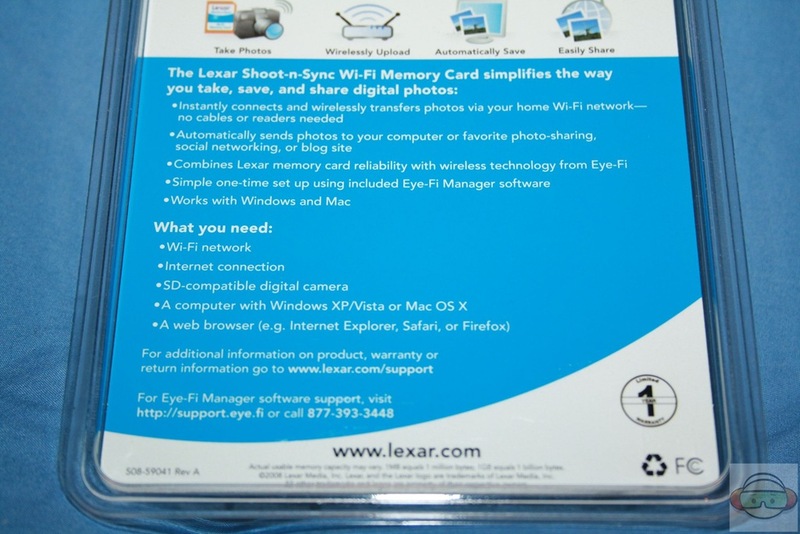 For this review, Lexar was kind enough to send out a promo package for the Lexar Shoot-n-Sync Wi-Fi Memory Card. 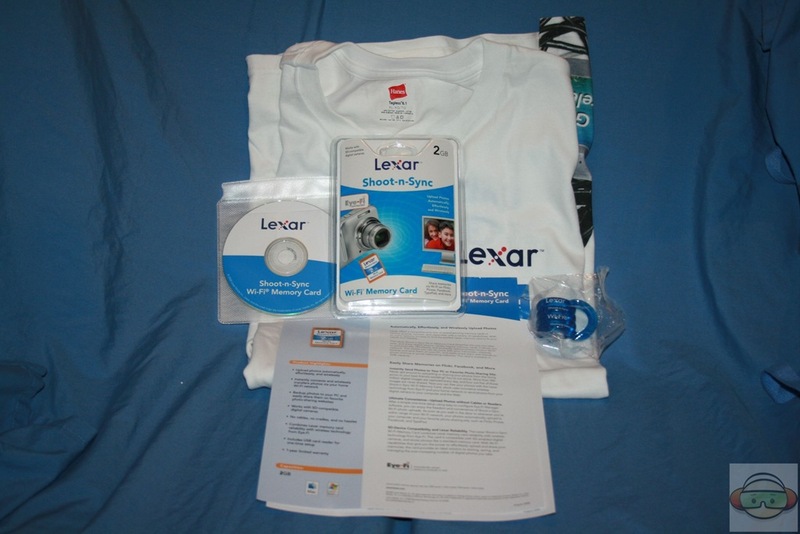 This bundle featured the Memory Card, an information sheet, a white Lexar Tee Shirt, a blue Lexar Tangle stress relief toy and a promotional CD. 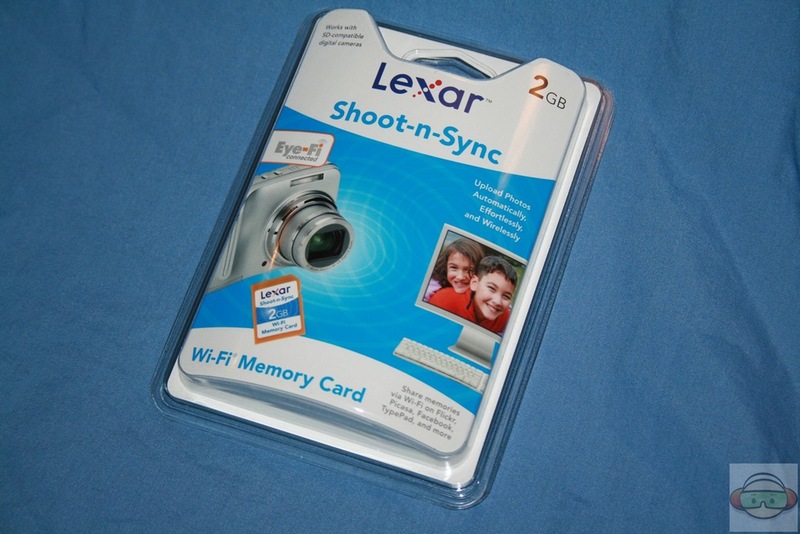 For the consumer, the Lexar Shoot-n-Sync Wi-Fi Memory Card comes in a clear blister package. 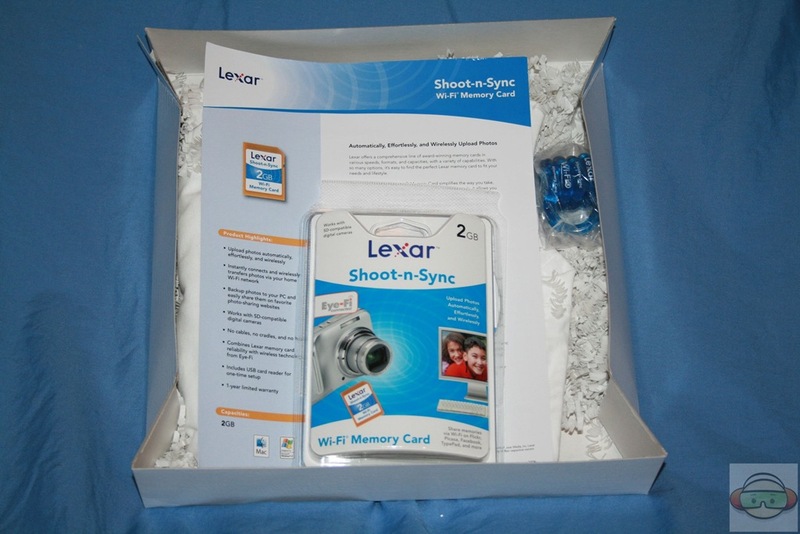 On the front we see a picture of the card, a camera and a PC with the Lexar Shoot and Sync and Eye-Fi logo. Eye-Fi is a separate company and the creator of the wireless technology used in this product. 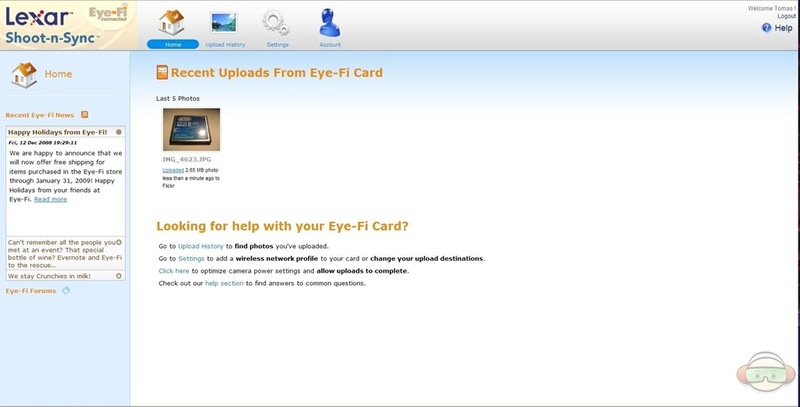 Eye-Fi sells their own stand alone products and offers a the Eye-Fi Share which is the same card. I assume the Lexar branding of this technology is to provide more exposure and gain a bigger market share. On the back of the package, we find a listing of the features of the product and the requirements needed to get up and running. In case you were wondering, you will need a Wi-Fi network, Internet Connection, an SD compatible digital camera, a PC with Windows XP/Vista or Mac OS X and a web browser. 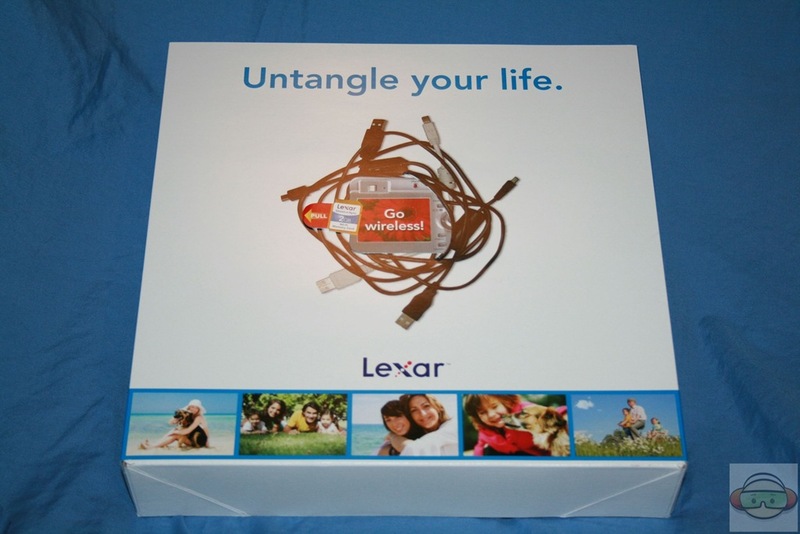 After cutting open the hermetically sealed plastic, we find the Lexar Shoot-n-Sync Wi-Fi Memory Card and card reader housed in white plastic tray and a Quick Start Guide. 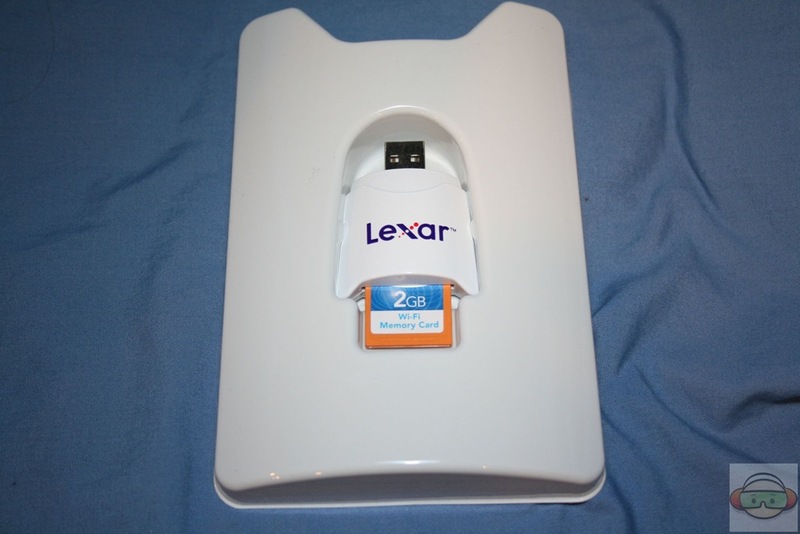 The card reader is white and emblazed with the Lexar logo, a USB connector on one end and slot for the SD card on the other. 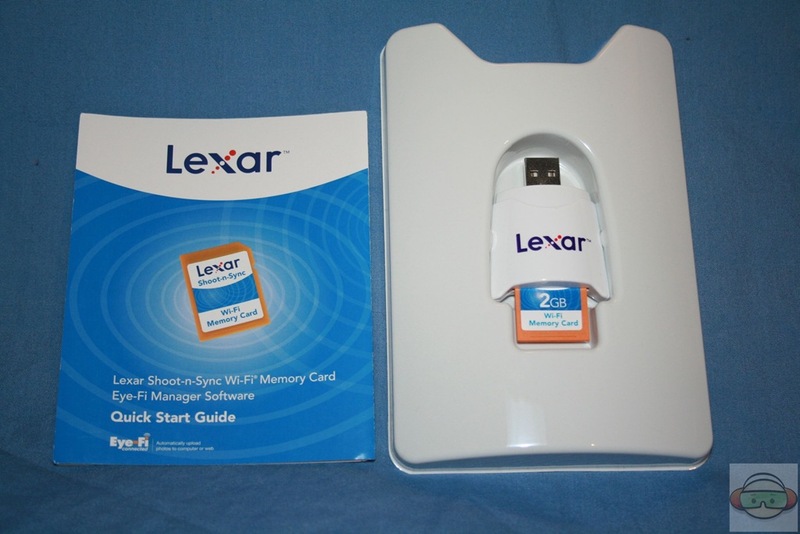 The Lexar Shoot-n-Sync Wi-Fi Memory Card is orange with a blue and white label. It is the same size and shape as a standard SD card. 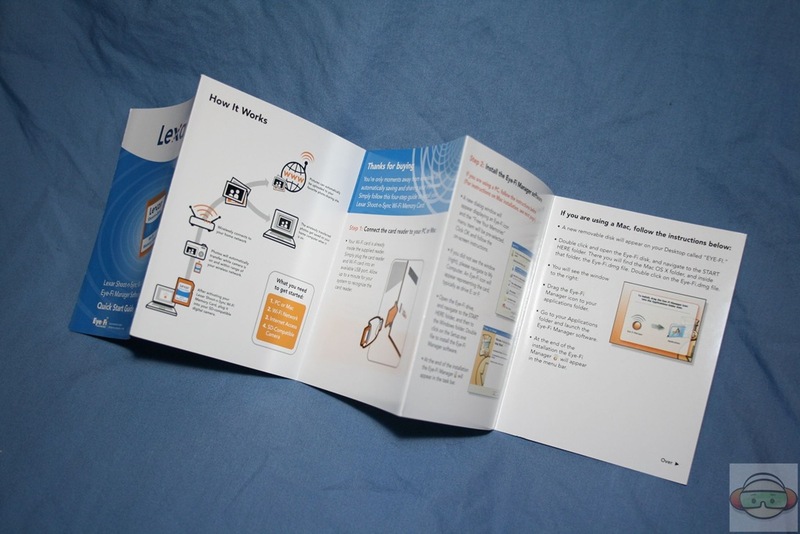 The Quick Start Guide folds out and runs through installation on both the PC and Mac. Lexar offers a comprehensive line of award-winning memory cards in various speeds, formats, and capacities, with a variety of capabilities. With so many options, it’s easy to find the perfect Lexar memory card to fit your needs and lifestyle. 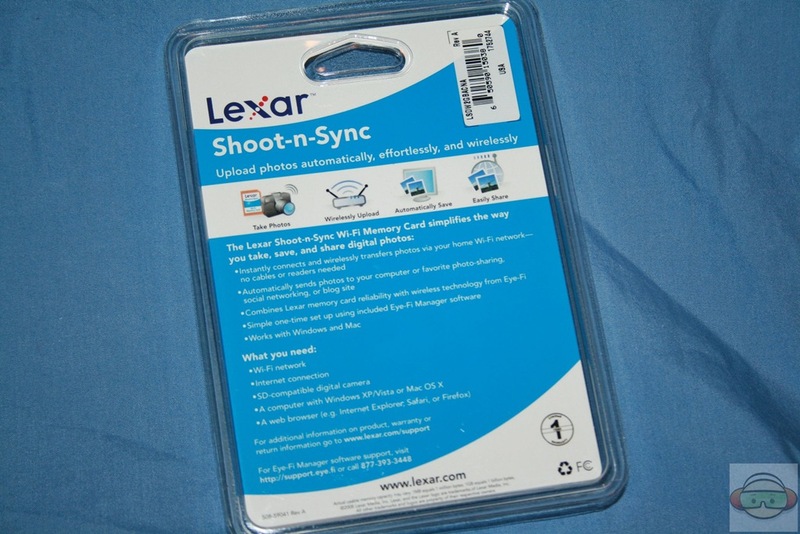 The Lexar Shoot-n-Sync Wi-Fi® Memory Card simplifies the way you take, save, and share digital photos. Unlike regular memory cards, it allows you to automatically, effortlessly, and wirelessly upload photos via your Wi-Fi network. 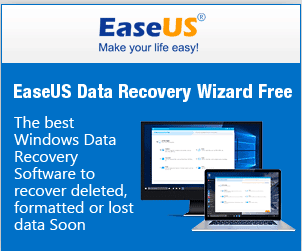 This means you can do more with your memories-instantly backup and save them on your PC, and easily share them with friends on photo-sharing or social networking websites. 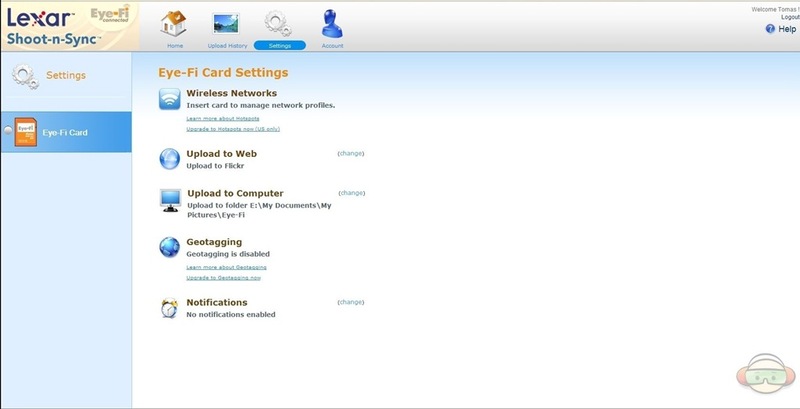 The card is available in 2GB capacity. 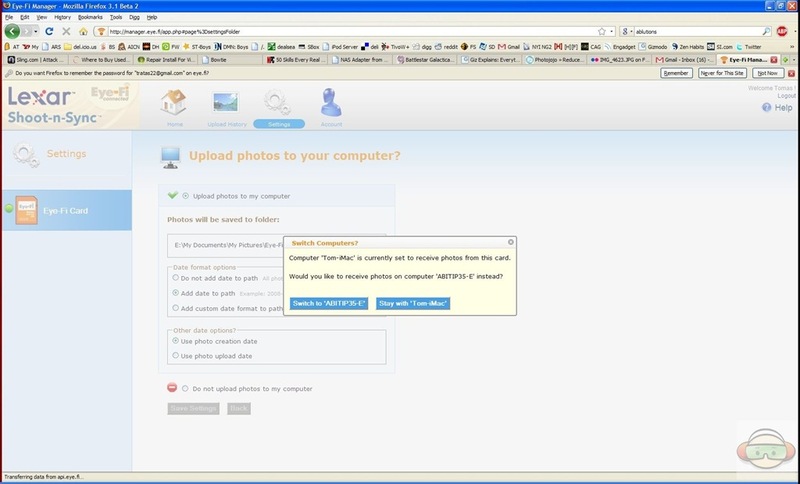 Instantly Send Photos to Your PC or Favorite Photo-Sharing Site. Never got around to uploading or sharing your photos from the family picnic or your best friend’s wedding? You’re not alone. More than 350 million digital images are captured every day, and four out of five of those images are never shared. 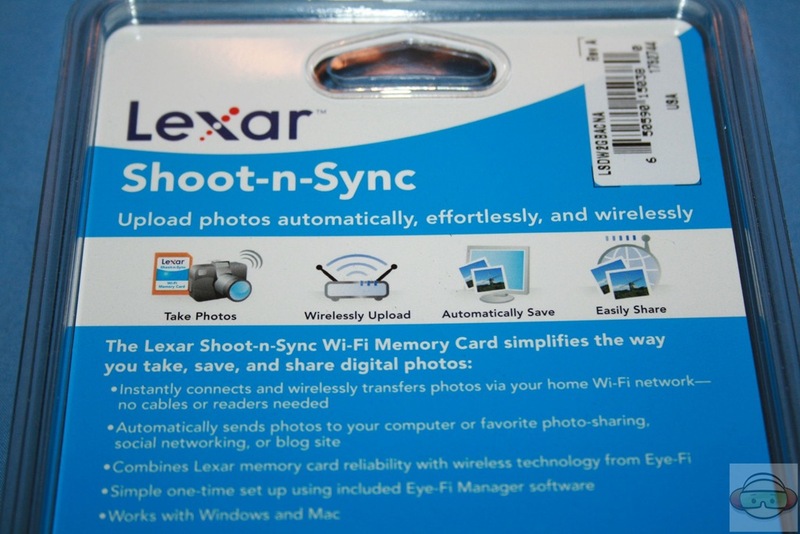 Now you can free your photos with the Lexar Shoot-n-Sync Wi-Fi® Memory Card, which uses innovative wireless technology and your home network to send photos from your digital camera to your computer and the Web. Ultimate Convenience-Upload Photos without Cables or Readers. 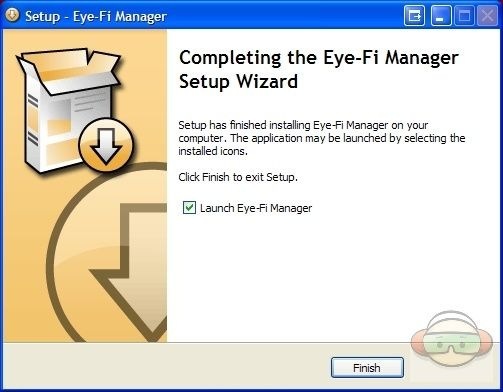 After a simple one-time setup using easy-to-configure Eye-Fi Manager software, you can enjoy the freedom and convenience of Shoot-n-Sync Wi-Fi photo uploads. 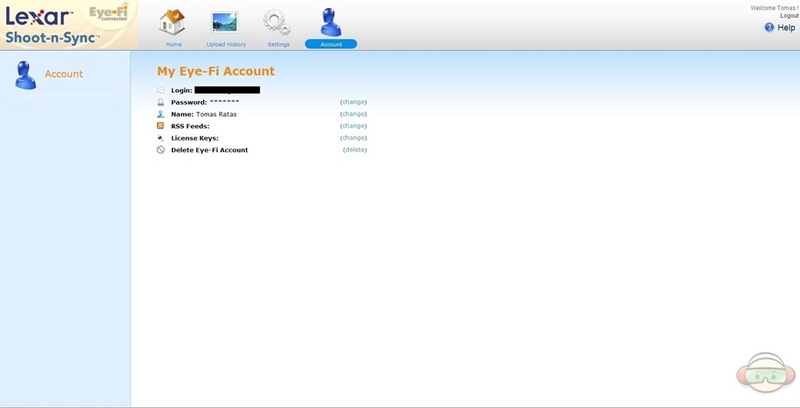 As soon as you walk in the door or whenever you’re within range of your Wi-Fi network, your photos automatically upload to your computer and your favorite photo-sharing site, such as Flickr, Picasa, Facebook, and TypePad. SD-Device Compatibility and Lexar Reliability. 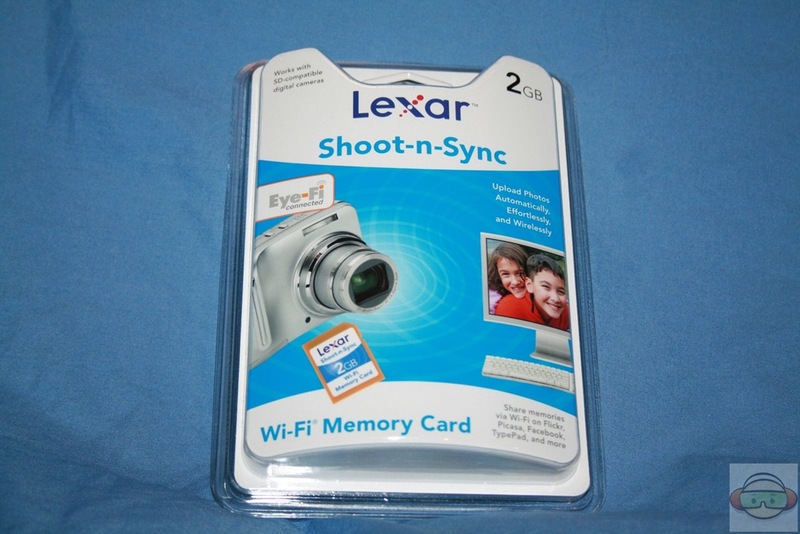 The Lexar Shoot-n-Sync Wi-Fi Memory Card combines Lexar memory card reliability with wireless technology from Eye-Fi. 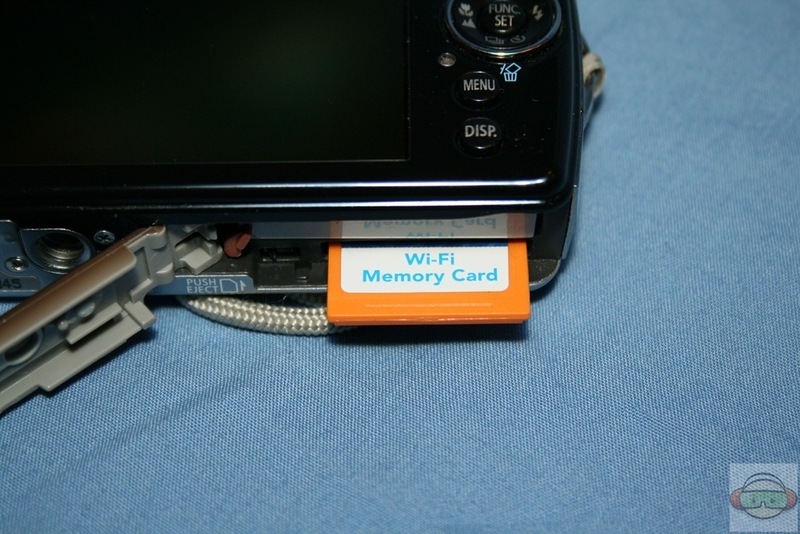 The card is compatible with SD-enabled digital cameras, and stores photos like a standard memory card. With Wi-Fi capabilities that give you the power to effortlessly upload and share your memories, the card provides an ideal solution to storing, saving, and managing the ever-increasing number of digital photos you take. 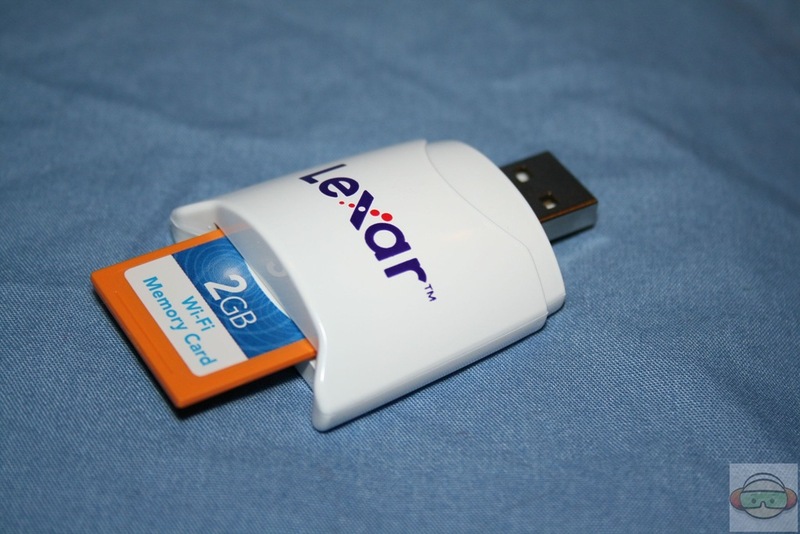 Installation involves plugging in the card reader with the Lexar Shoot-n-Sync Wi-Fi Memory Card inserted into either a PC or Mac. 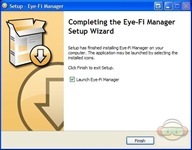 Once the USB card reader is recognized, you will need to run the Eye-Fi Manager Setup Wizard. 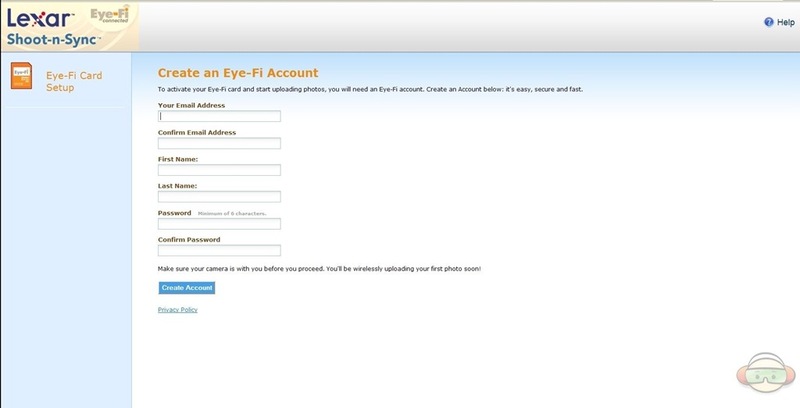 You will be asked to create an Eye-Fi account and the setup may request that the Eye-Fi’s firmware be updated. 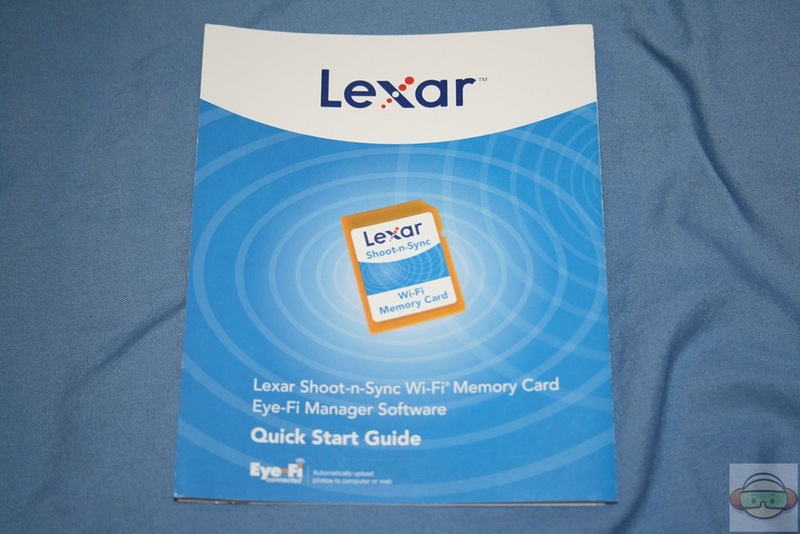 Once installed, the Lexar Shoot-n-Sync Wi-Fi Memory Card needs to be configured on the Eye-Fi Manager web interface. 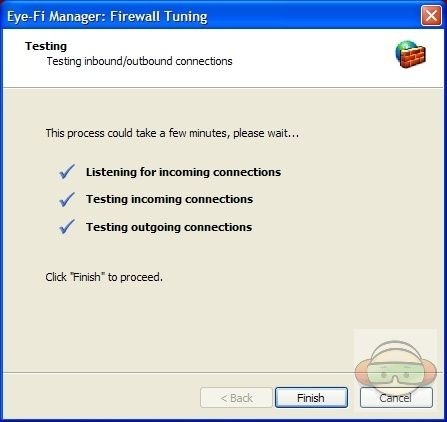 You will need to select your wireless network, then a preferred online service (if you choose to use one), a local destination on your PC/Mac. It is really quite simple. The setup is the same for the Mac as the PC. 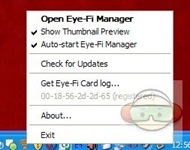 There will be an Eye-Fi Manager icon in the task bar area on the PC or on top of the OS X menu bar. Now just remove the card from reader and plug it into your camera. 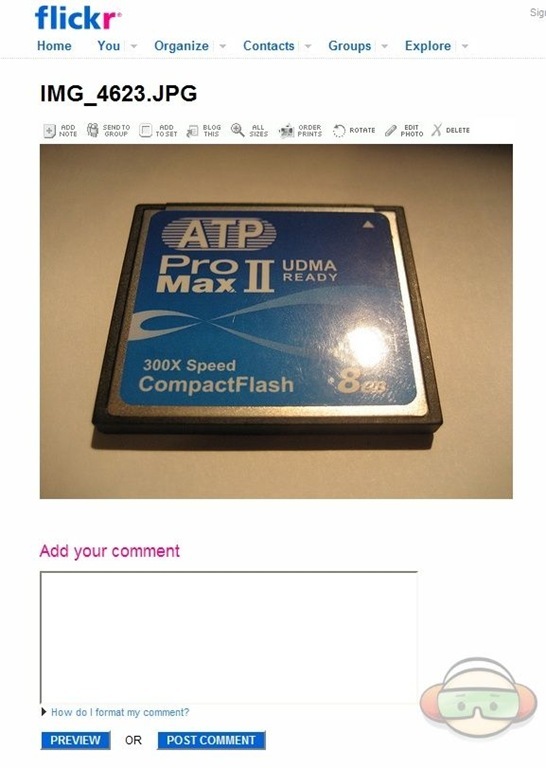 The program should identify the camera being used and recommend the proper power settings for uploading pictures. 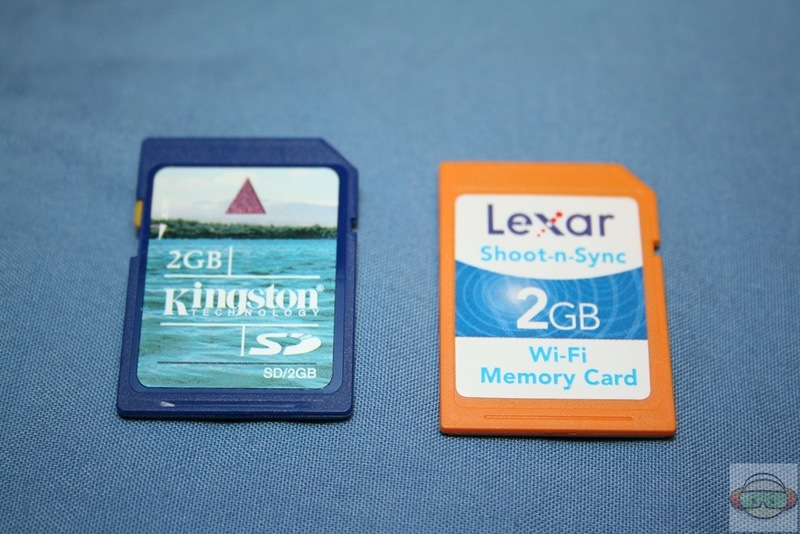 Your camera functions exactly the same with the Lexar Shoot-n-Sync Wi-Fi Memory Card inserted as an ordinary SD card. 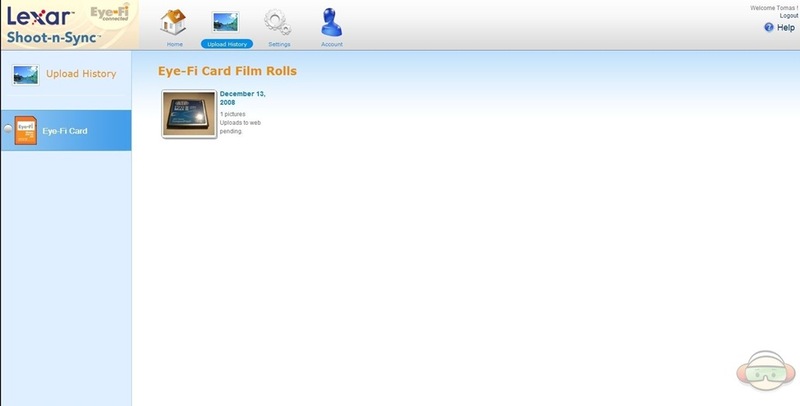 When the photos are transferred to the PC/Mac a thumbnail preview window will appear on your desktop during the transfer. After a photo is taken, the camera will need to remain powered on until all the photos are wirelessly transferred to your computer and/or online service. The more photos taken, the longer the camera needs to remain on. 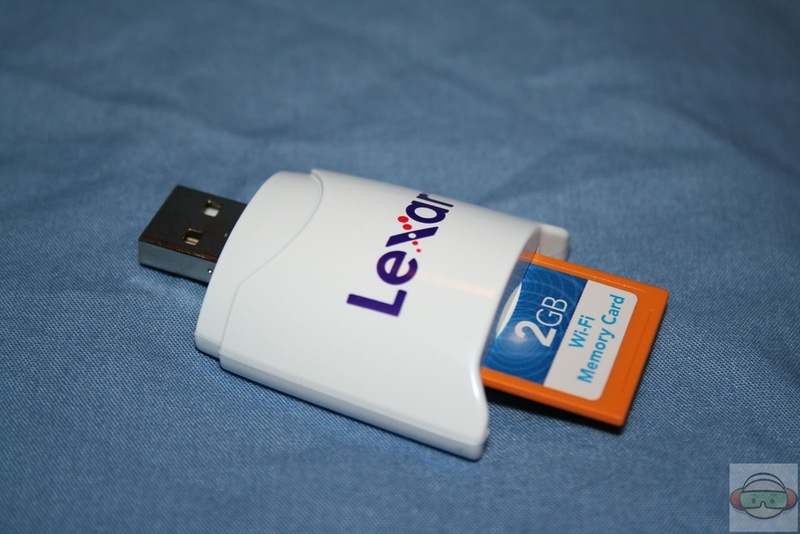 If you are not near your Wi-Fi network and need to transfer photos to a PC, the Lexar Shoot-n-Sync Wi-Fi Memory Card can be read with a standard SD card reader and the pictures transferred manually. From the Eye-Fi Manager, the user is able to check Upload History, Change Settings, modify the Eye-Fi account and check Eye-Fi News. 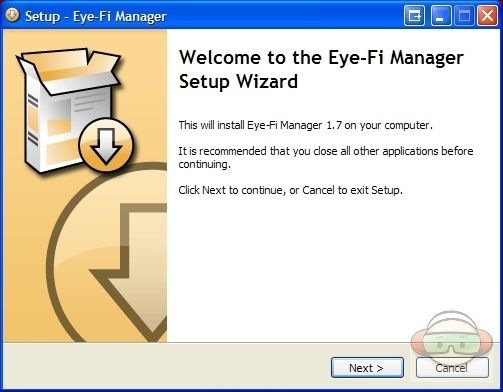 Since I have installed the Eye-Fi Manager on both a Mac and PC, I am able to change which computer the photos will upload onto from the Settings page. When using the Eye-Fi Card to take photos, a camera’s battery life will not be noticeably shorter than when using a standard SD memory card. While uploading photos, battery usage will vary depending on the number and size of your photos, as well as the speed of your network connection. The Eye-Fi Card uses advanced power management to optimize the life of your camera’s battery. 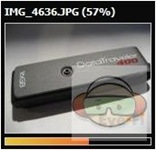 The picture transfer speed is dependent on your network. Using a Canon SD-630, I was able to transfer three photos in under ten seconds to my PC on 801.11G wireless network. For some reason, transferring to the Mac took a little longer. The Shoot-n-Sync Wi-Fi Memory Card has a range of approximately ninety feet outdoors and 45 feet indoors. I found the Shoot-n-Sync Wi-Fi Memory Card works perfectly right out of the box. It was simple to install and I was up and running in under five minutes. Photos were uploaded to my computer from the camera within minutes. 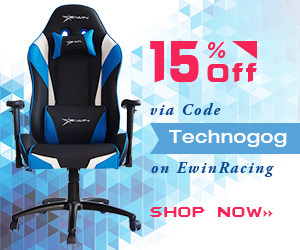 This device is a plug and play as you can get! 2GB may not be big enough for some users. It’s a great card, but will it transfer any file type (e.g. RAW)?